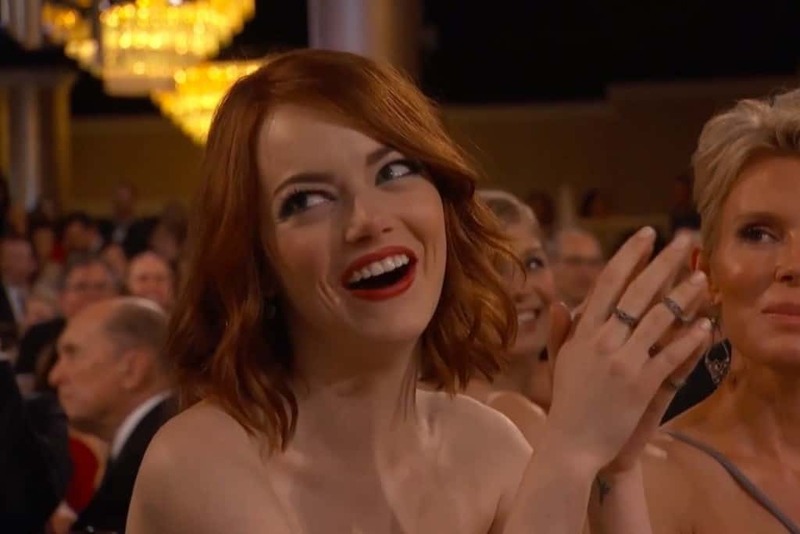 There’s a reason Emma Stone has been called the Julia Roberts of the Millennial generation: she’s cute, quirky, and down-to-earth. Her persona in interviews has the accessible kind of charm that makes her seem like perfect best friend material, but you don’t need to watch a whole video to connect with her on a basic human level; all it takes is a few pictures of her endearingly silly facial expressions. 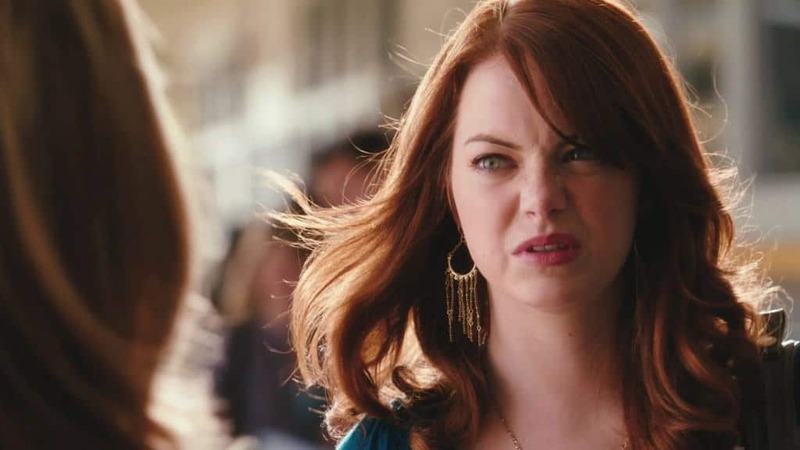 Check out the 13 photos below and see how many times you and Emma Stone have made the same faces! Hey, even actresses can get a case of the Mondays. Sometimes the only thing that can perk up your day is a big cup of coffee. 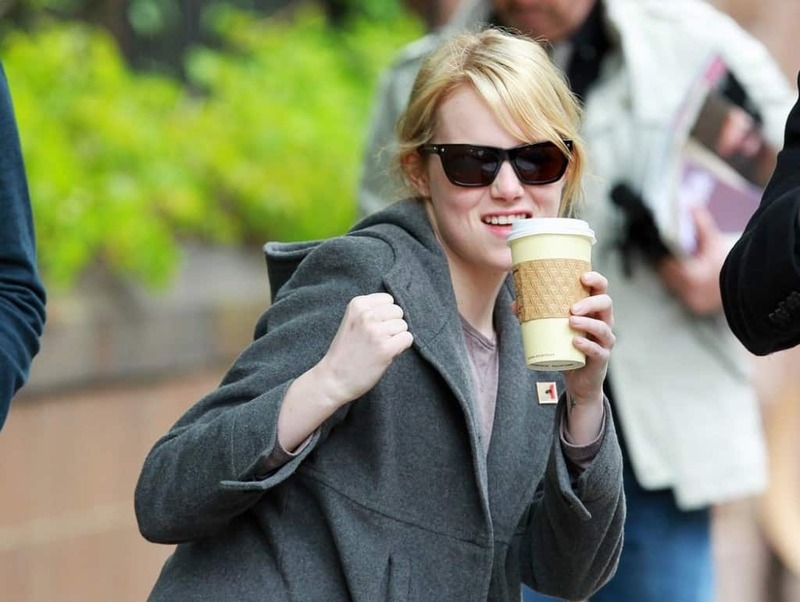 Most of us tend to celebrate our caffeine kicks on the inside, but Emma isn’t afraid to let the world know how pumped she is. Ever had to spend too long engaging in a conversation with someone you aren’t exactly excited to talk to? Of course you have, and Emma has too. Here she was caught in an eye-roll that lets us all know she’s not all that enthused about the question she was just asked. Emma may be better at acting than us, but she can’t totally convince us she’s 100% pleased with the outcome of whatever she’s just witnessed. It’s the same face the rest of us make when that coworker we’re not big fans of gets named Employee of the Month. We feel you, Emma. Though this is a clip from The Graham Norton Show and not a picture of Emma sitting next to someone on a plane who’s just pulled a tuna sandwich out of their bag, the expression’s the same. She can’t believe what just happened; we’ve all been there. Similar to the previous face, minus any amusement. Emma is not okay with whatever just happened, and we can all relate. Even if you don’t own one, you’ve definitely tried using a Shake Weight at one of the interactive displays in any of the multiple stores where they’re sold. The first time is always unwieldy, which we can see on Emma’s face. Feel the burn, Emma! Even nice people have a limit for how much they can take before annoyance sets it. No matter how positive of a person you are, sometimes there’s just no hiding your feelings. It’s nice to know Emma’s felt the same. This one speaks for itself, doesn’t it? We all make this expression on the inside at least ten times a day, but maybe we should follow Emma’s example and set our faces free. Emma makes sarcasm look charming. Even if the rest of us don’t have the same adorable factor, there are some situations where a facetious, “Oh yeah, that’s great,” is the only proper reaction. If Emma can do it, so can we! Sometimes you’ve just gotta bite your tongue. This is a common face during holiday dinners with extended family. Emma probably hasn’t just heard one of her great-uncles rant about his opinions on feminism or race relations, but it sure looks like she has. Everyone has a trigger that causes them to instantly tear up. Sometimes it’s a song, a scene from a movie, or even a specific smell, but no matter what, it’s embarrassing to cry in public. We don’t know what made Emma cry during this interview. What’s important is that she did. We’ve all done it: no one else is home, your favorite song comes on the radio, and suddenly you’re Christina Aguilera belting out a hit in front of screaming fans. 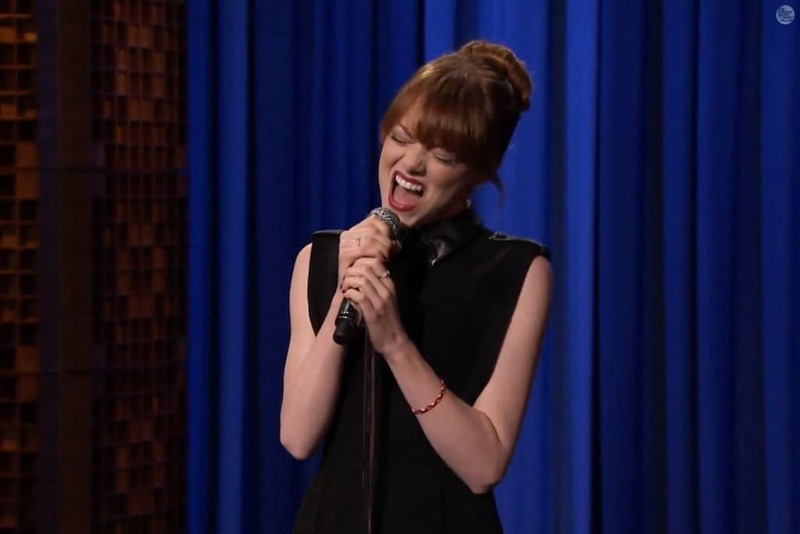 Emma may have us beat with her great singing voice, but that doesn’t stop her from going all out like she’s home alone. This is the face we all make when someone sends us a new cat video. Nothing is quite as joyful as watching a kitten play peek-a-boo, and sometimes your face just can’t hide it. Scream on, Emma!